Time to Think About Moving — For Real! From our packout in North Carolina, July 2008. It’s for real now — this week we’ve been squeezing in a couple of move-related tasks before I go to Omaha for more Air Force work. We put all our ducks in a row for looking for a house in Colorado, and we have made the arrangements for our belongings to get picked up in early June. It’s feeling real now! We are having our stuff picked up a little early this time around for several reasons: (a) the kids can still be at school and not underfoot during most of the packing and (b) we’re still planning our annual big trip to the northeast and I wanted to get the packing over with beforehand and (c) there’s more assurance that our belongings will be ready to deliver as soon as we get our house squared away in Colorado. What this means is that things are getting REAL: in the month of May I will be wrapping up my involvements with the base spouses’ club and the local Cub Scout pack, and I will be able to completely focus on getting us prepared to move. What types of things do we have to do in the 7 weeks? Here’s a quickie checklist, which will help me as much as it will help anyone else, hopefully. 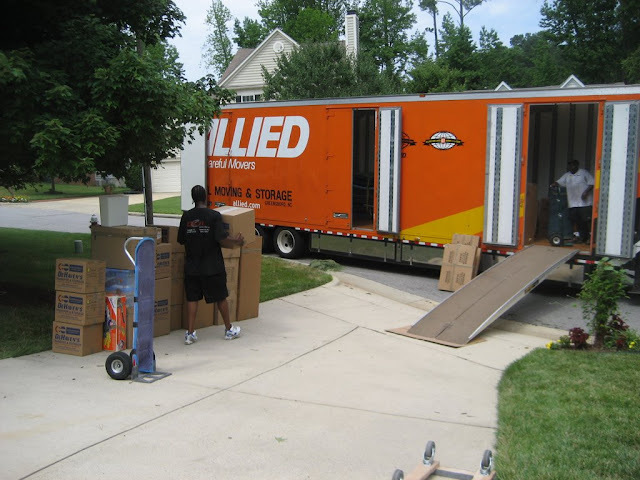 Establish a “Do Not Pack” space; remove items that you need packed, begin position items in there that you can’t have the movers take, such as personal paperwork, valuables, musical instruments, pet supplies, etc. Here’s some other moving-related stuff I have shared on this blog in the past several years. This is the third move I will be sharing on my blog, this is a great way to help the kids remember what it was like the past several moves.